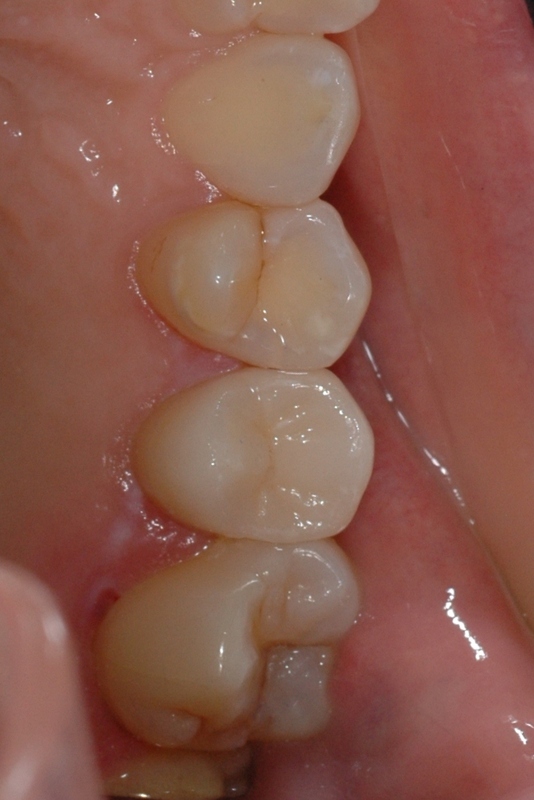 One of the common problems we see as dentists is cracked teeth. Any tooth can fracture, just like driving a truck over pavement enough times can crack the pavement, but the most commo reason is from the weaknesses caused by drilling and filling teeth. 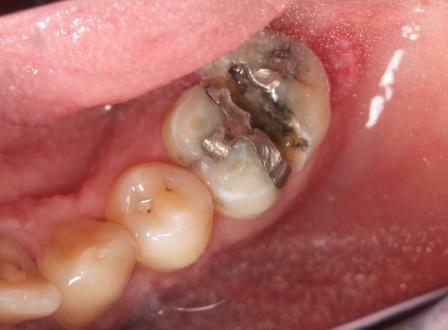 Large amalgam fillings are like a lump of soft lead in a crystal glass, slowly creeping and expanding over the years until the tooth cracks apart. While most cracks are horizontal and a cusp cracks of the tooth, a large number are vertical cracks extending into the nerve of the tooth and splitting the root in half. 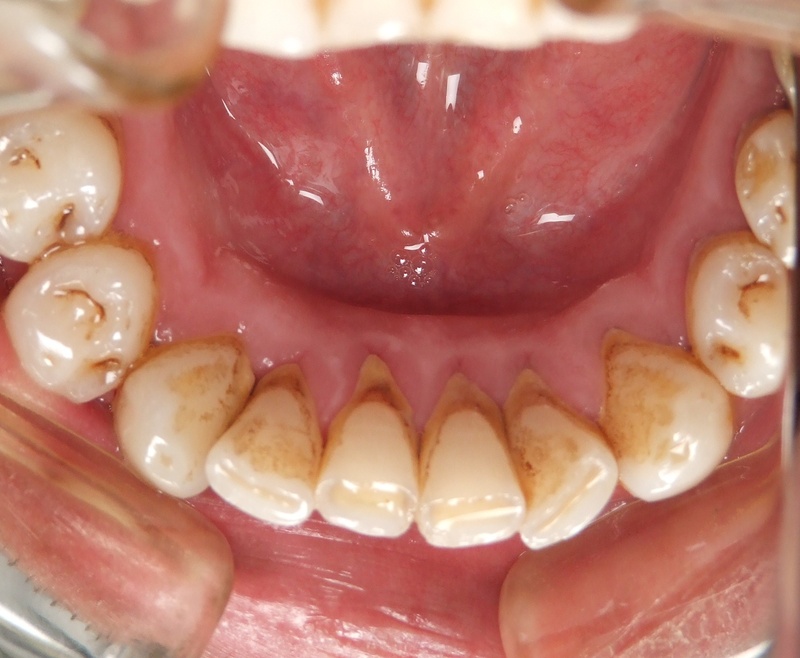 It is best to replace any metal fillings if any sign of cracking is evident, but replacement with tooth coloured fillings may not be strong enough. 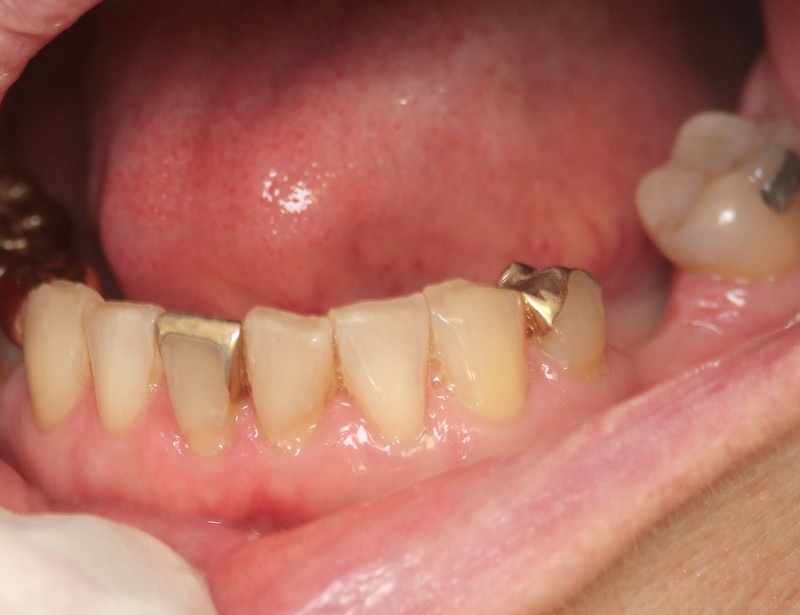 The tooth should be supported with a full coverage of porcelain, or the best alternative which is gold. 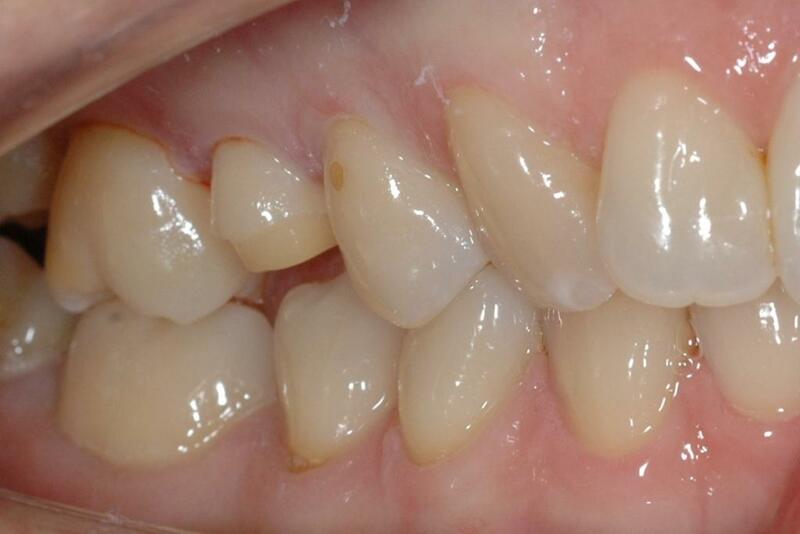 The porcelain has a higher strength than plastic fillings but can still crack. 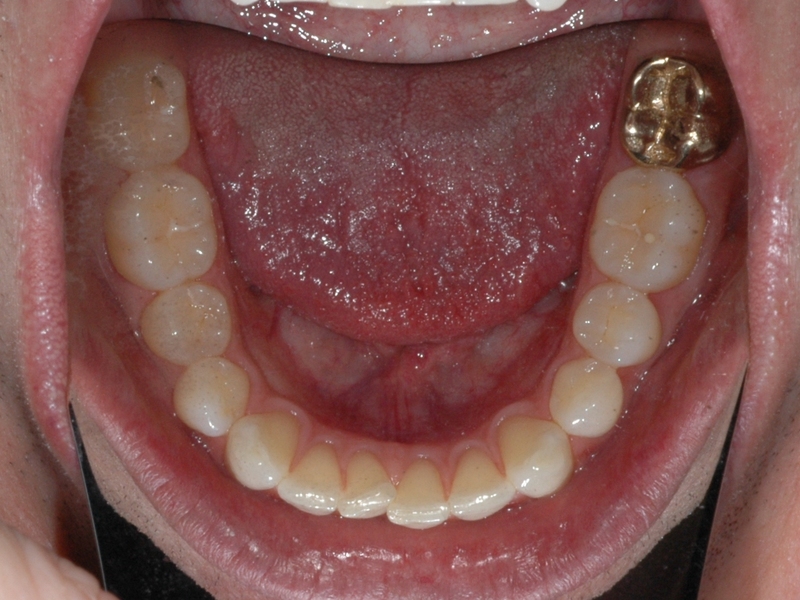 The gold will wear at the same rate as your own teeth and will not break but there is a cosmetic compromise. Talk to your dentist about which option is most suitable for you. Ok, so I brush twice a day, floss at night, eat well – there is no pain so why should I go to a dentist? A common misunderstanding about going to the dentist is that we can cure dental disease. This is only partially true. The reality is that everything wears out, be it your new car, house, computer, fillings or teeth! I have many patients with healthy teeth well into their 80s and some in their 90s, and many people disappointed with their failing teeth and unhappy with the results of years of dentistry under the age of 50. So how can we help you to become one of our long term satisfied patients enjoying the benefits of a healthy mouth for decades? I had a small filling done on a bottom tooth 30 years ago. It was replaced with a larger but stronger gold filling 8 years later. The tooth cracked around this strong filling on my 40th birthday and I needed a crown. About 5% of teeth that are crowned need a root canal treatment in 5 years. Root canal teeth are weak and it may split and need eventual removal! Sound Familiar? So I may eventually lose one tooth but all my other teeth are in excellent shape. Why? Prevention! Avoid the filling in the first place, or get it done as small as possible. Here’s my guide to healthy happy smiles for life! Start Early – Bring children every 6 months to build up their confidence, and get good advice on hygiene and diet. 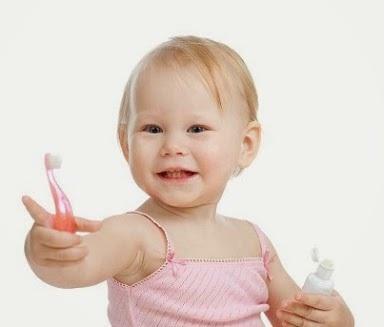 Start from pregnancy and you will avoid the fear cycle and make dental visits fun for your child. Seal Fissures– any grooves in your teeth attract bacteria and plaque films that can’t be brushed off. 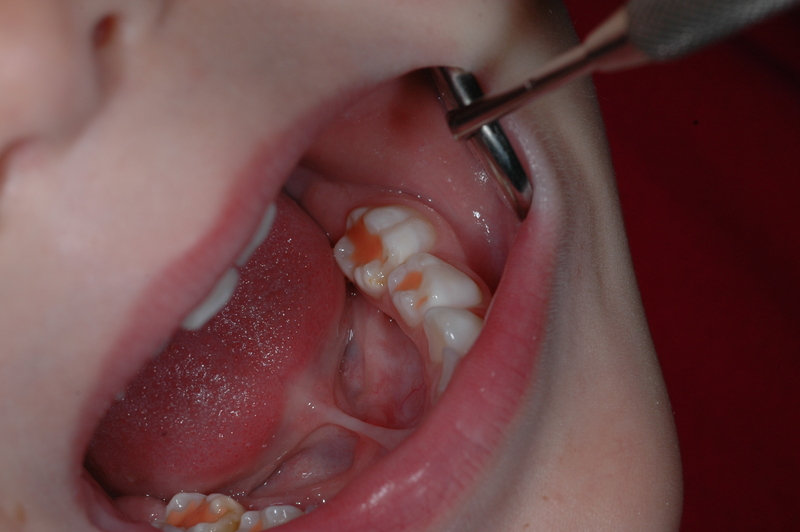 The most at risk are the biting surfaces of the adult 6yr old and 12yr old molars. 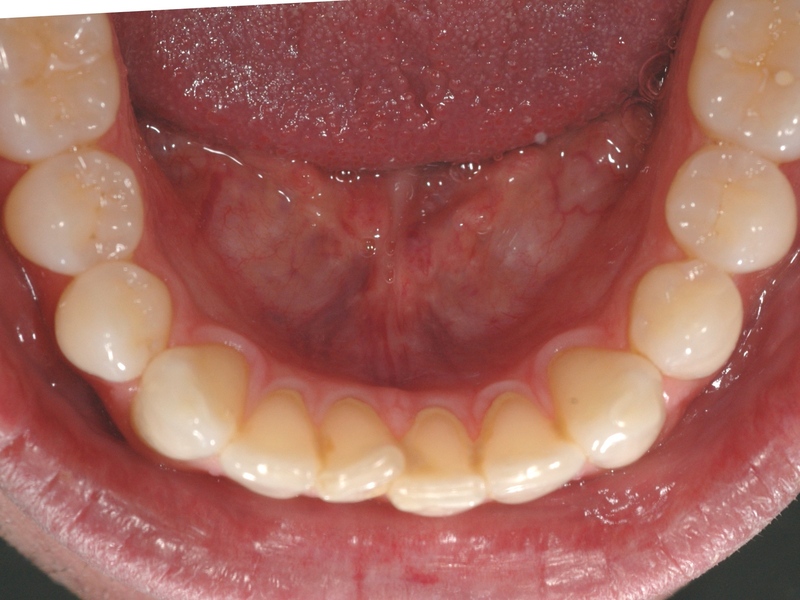 Simple sealants that release protective minerals and stop bacteria starting decay on these areas are easily placed. Children who have been regularly from the age of 2 find this procedure fun and non-invasive, meaning they trust their dentist for life rather than developing fears. I still get my teeth sealed with plastic more durable adult sealants if necessary but some of mine were last sealed nearly 20 years ago! 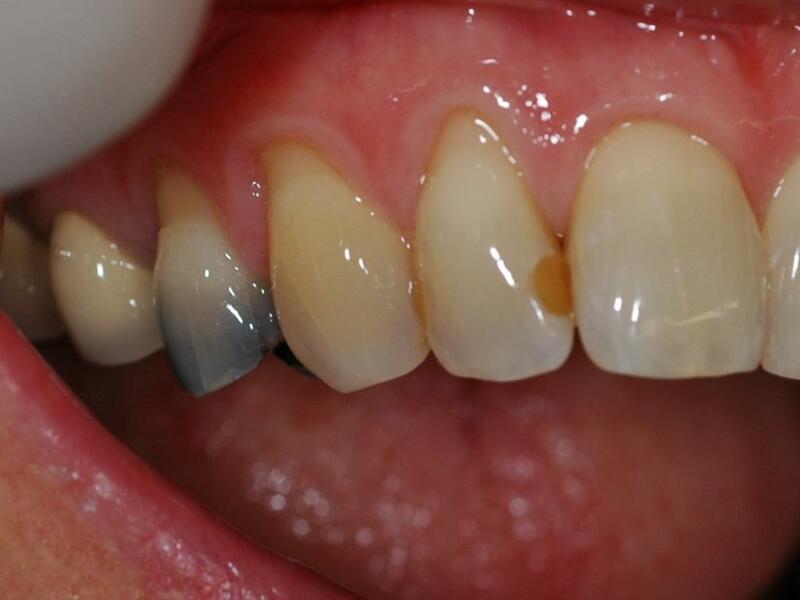 Treat Decay Early– If you need a filling, get it done ASAP. Why wait until there is little tooth left or you have a toothache and need a root canal – it just increases the risk! The teeth below looked fine until you see what was lurking beneath. Maintain your engine– regular checks at the dentist also involves regular professional cleans. Over time the build-up on your teeth can result in gum disease. Your teeth become loose and the jawbone is damaged irreversibly. To prevent gum disease requires maintenance. Despite good home care and dental hygiene I still get moderate levels of calculus build-up after 6 months. The important thing is that there is no damage to the gums because I haven’t missed a 6 month exam and clean in my life. Having a father and brother as dentists helped me understand the value of preventive care over a lifetime. 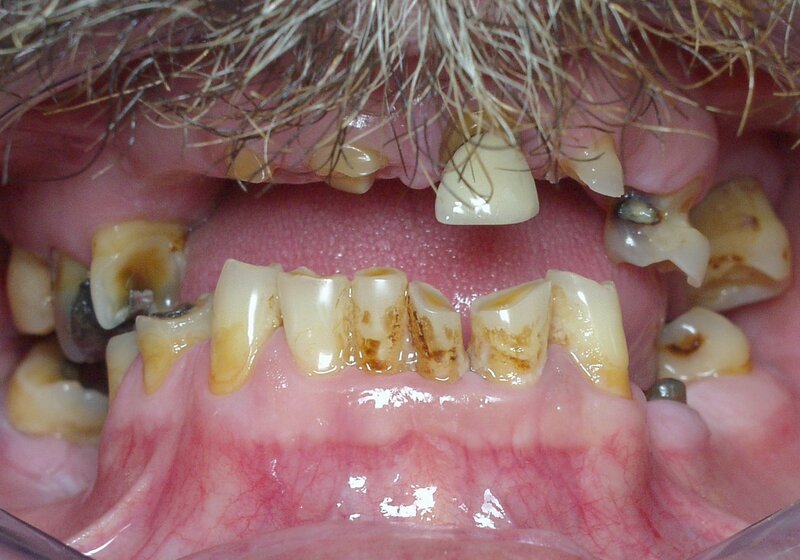 See below the results of gum disease when you leave it too long. Not having a regular clean is like driving a Ferrari around Fraser Island for years without a service and wondering what happened when it stops working! 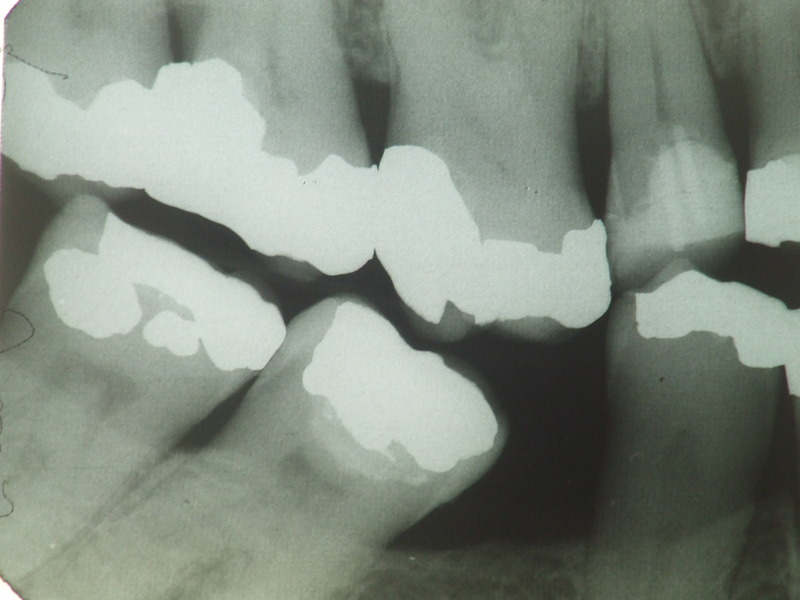 Protect weak teeth – Old metal fillings creep over the years like lead being hit with a hammer. Eventually, this puts strains on your teeth and they can fracture and split. If you wait too long this split may be catastrophic. 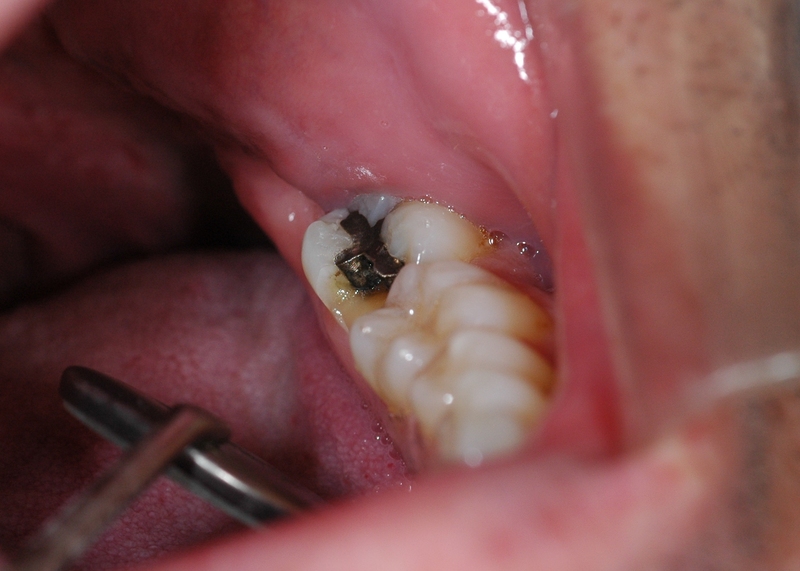 Even replacing metal fillings with white plastic fillings may not be strong enough to resist fracture forces. This is why dentists recommend a crown, and exactly what happened to me on my 40th birthday. (You can see my gold crown in the photo at the top of this post) Not what a dentist expects when they look after their teeth—but nothing lasts forever and my filled tooth had been weakened. 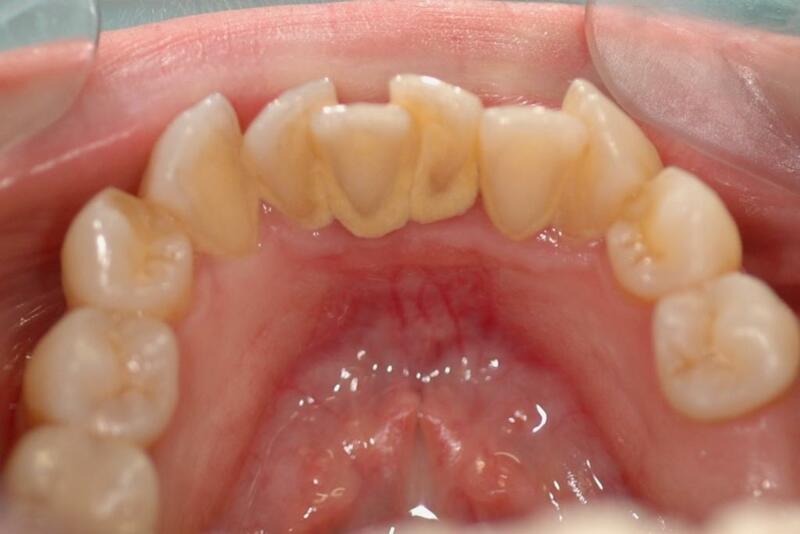 You can see how teeth can split in the following pictures. 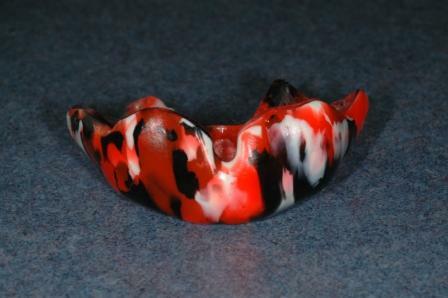 Wear a mouthguard – I just put this one in as a no brainer—no mouthgaurd / no play! Replace missing teeth – It may not seem important at the time but when you lose a tooth your other teeth have to work harder, and are more likely to break or wear out. This leads to an ever worsening cycle of destruction. Also your jawbone becomes smaller and weaker and your remaining teeth move into poor positions. 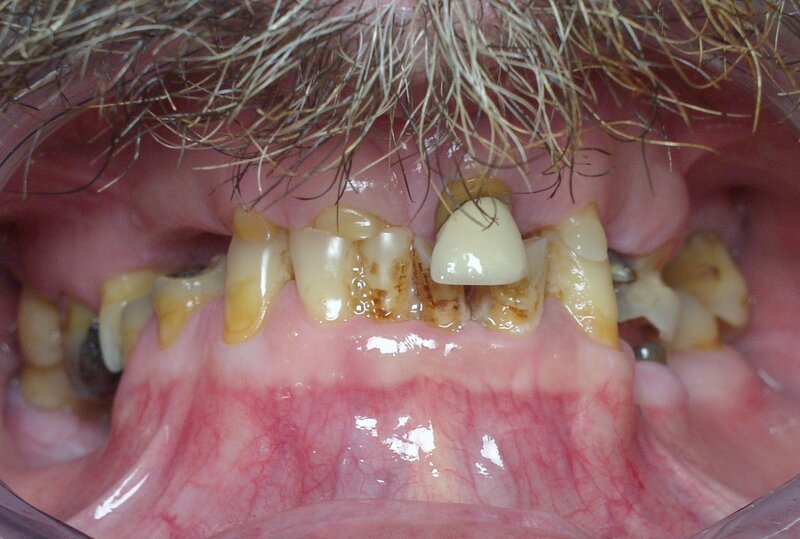 Many people in later years find their mouth has become a complex and expensive concern to them. Intervention when they were younger would have made all the difference. 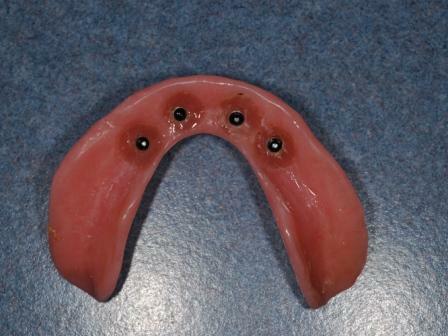 People with full d entures have continuing jawbone loss because of the lack of bone stimulation dentures provide. As they lose more bone the dentures fit worse and worse in later years leading to great discomfort and lack of chewing power. The jaws also fail to support the face anymore. Many older people that have had dentures for decades complain that their new dentures are worse than the original ones. 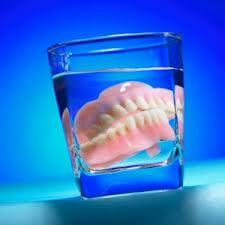 We regularly see denture wearers wanting to have implants to fix and recreate what they have lost. 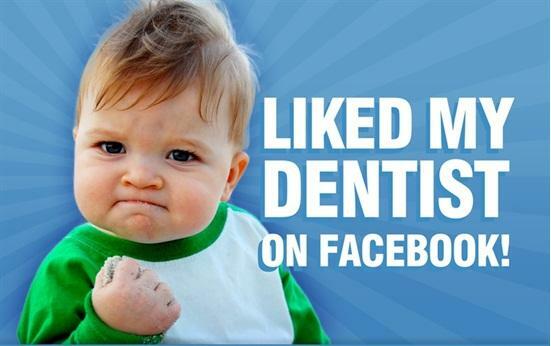 Trust your dentist– We are here to help you enjoy your teeth for life. If you have questions, we pride ourselves on taking the time to help you understand your options. We love to talk, educate, and have happy patients! Does your dentist stand by their work. Do they help you understand your particular risks. Find a dentist that wants to be there helping you for life, not someone that is just cheaper, a health fund preferred provider, and that may not be around in 5, 10, 20 years to stand by their commitment to your health. This patient started getting sharp pain every time they bit on this tooth. 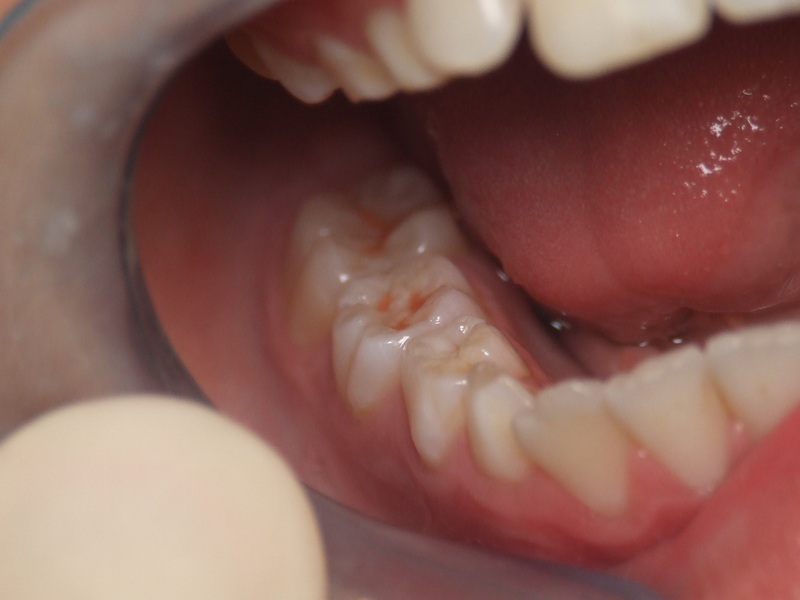 It had never been filled but it started to split This can happen from grinding (bruxing) at night, clenching, eating hard foods, or often old fillings have weakenbed the tooth. In this case the patient admitted a very stressful period over the previous 6 months and an awareness of heavy clenching. 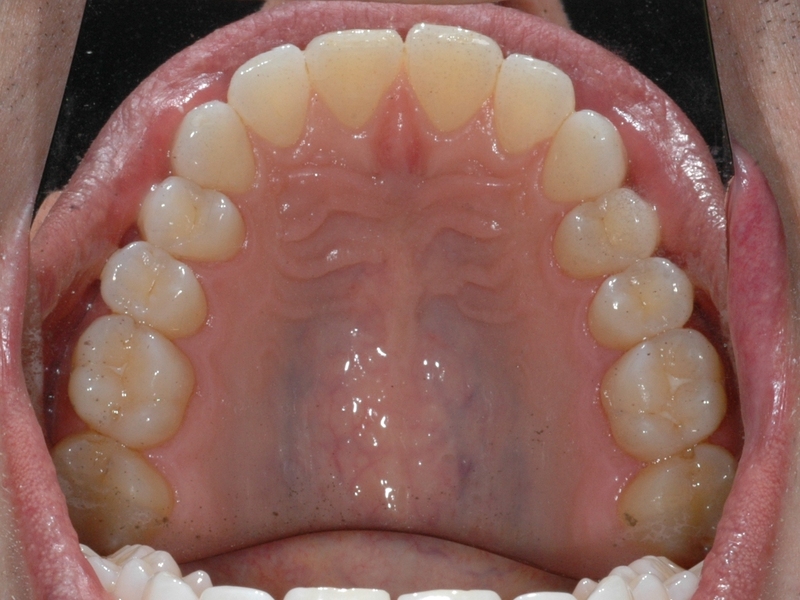 You can see natural grooves and small enamel cracks in both teeth. The pain was localised to the second premolar by biting on a hard object. 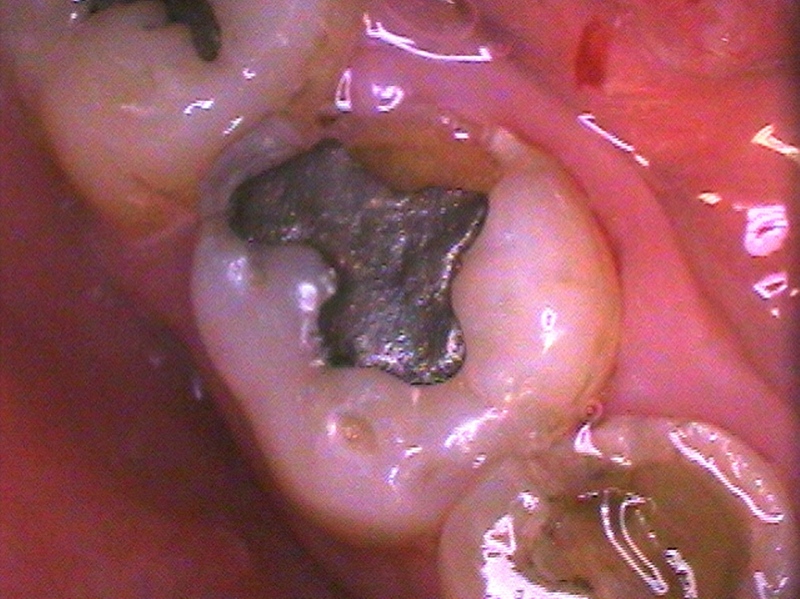 After removing the enamel a verticle crack can be seen extending into the tooth. 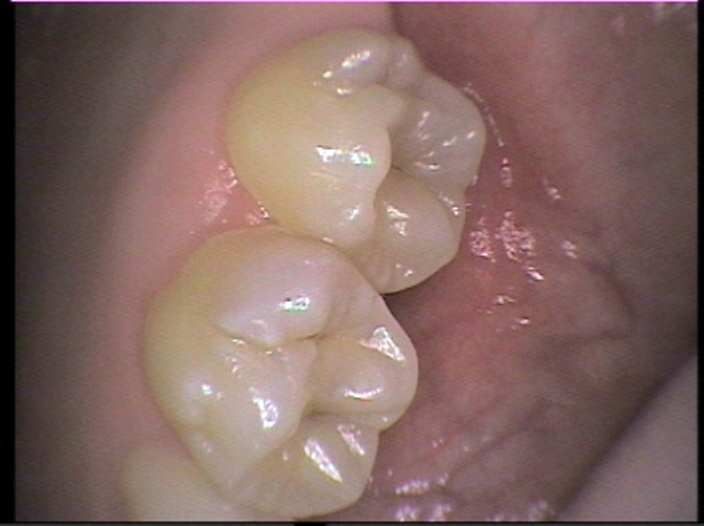 Without support this will continue down through the nerve and root of the tooth and the tooth will need to be removed. 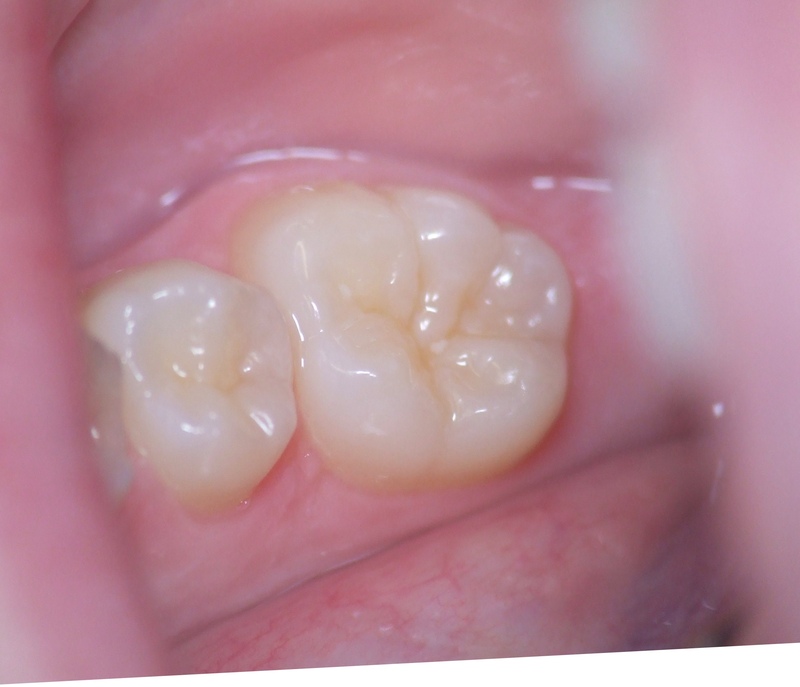 Below is an image of a tooth where this has already occured. A porcelain shell like a helmet is made that can fit over the tooth and protect it. 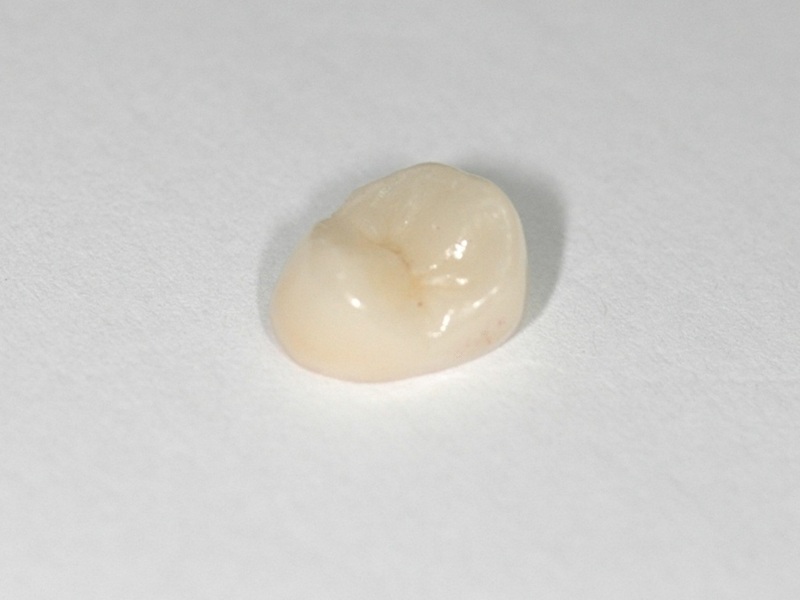 We use only Australian laboratories and don’t source crowns from overseas. 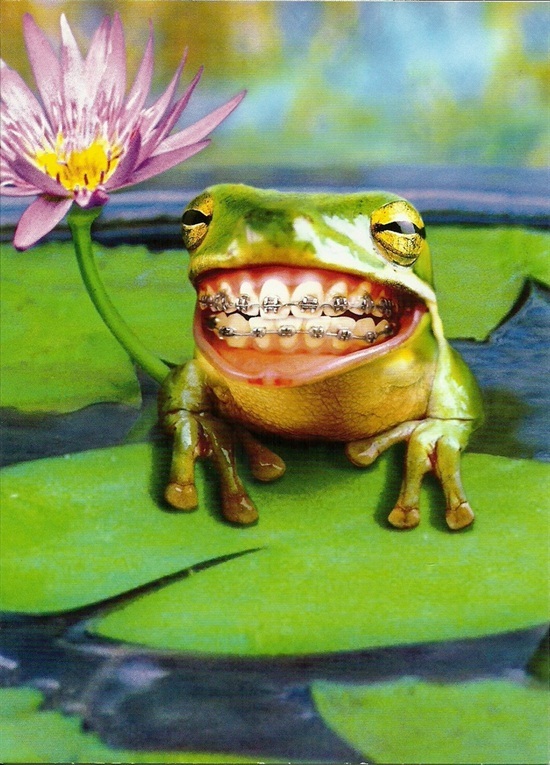 Thanks to Jade Dental Laboratory in Buderim ,Queensland, for this artistic creation. 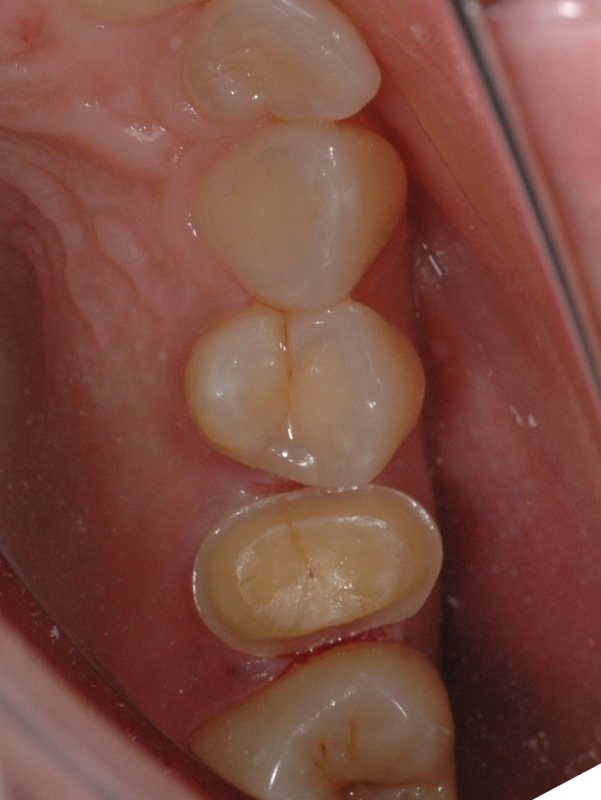 The crown is glued onto the remaining tooth to seal the crack and reinforce the tooth. 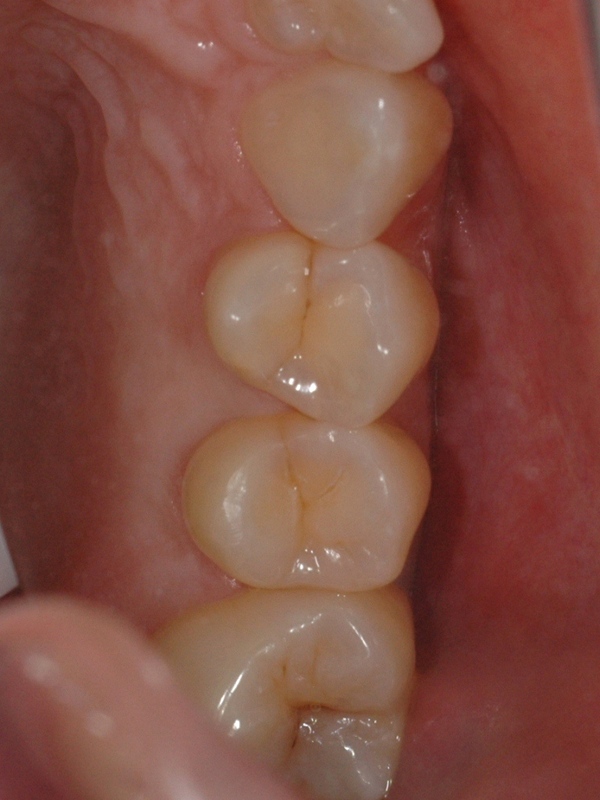 I have used eMax for this crown. As it is cosmetic and translucent, I don’t have to agressively remove tooth structure all the way to the gumline like a traditional crown. This leaves the tooth much stronger in the long term. 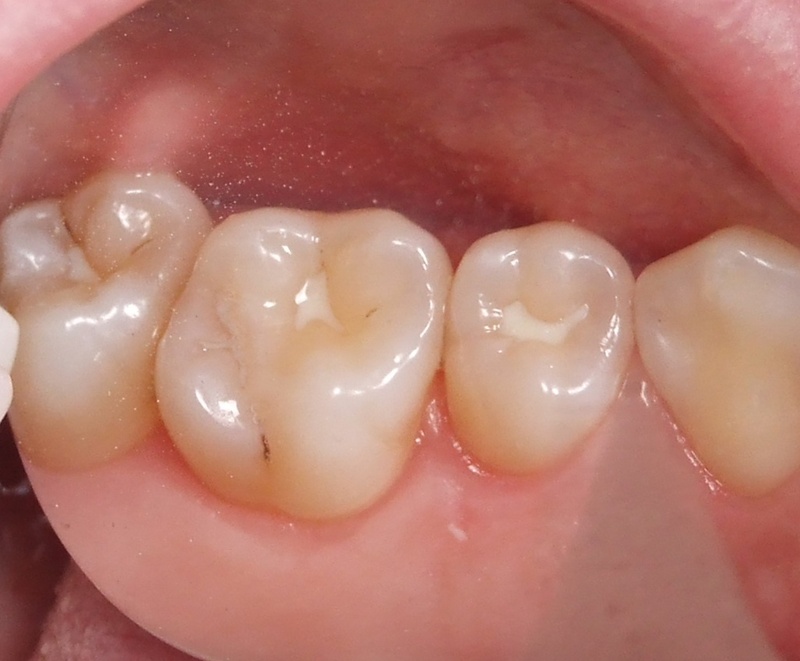 You can see where the tooth was reduced on the side. Traditional crowns would mean removal of tooth all the way to the gumline. 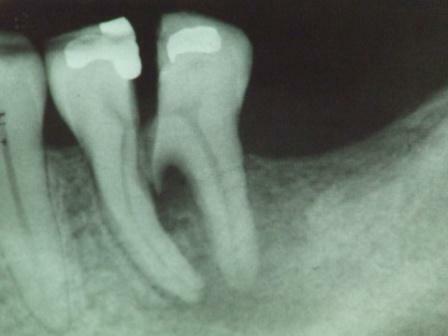 Why do I need root canal treatment. 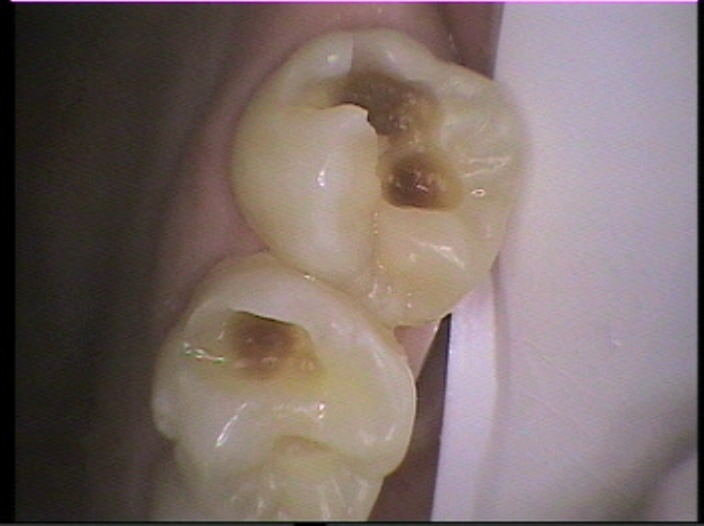 Here is a root canal treatment case that just came in today. 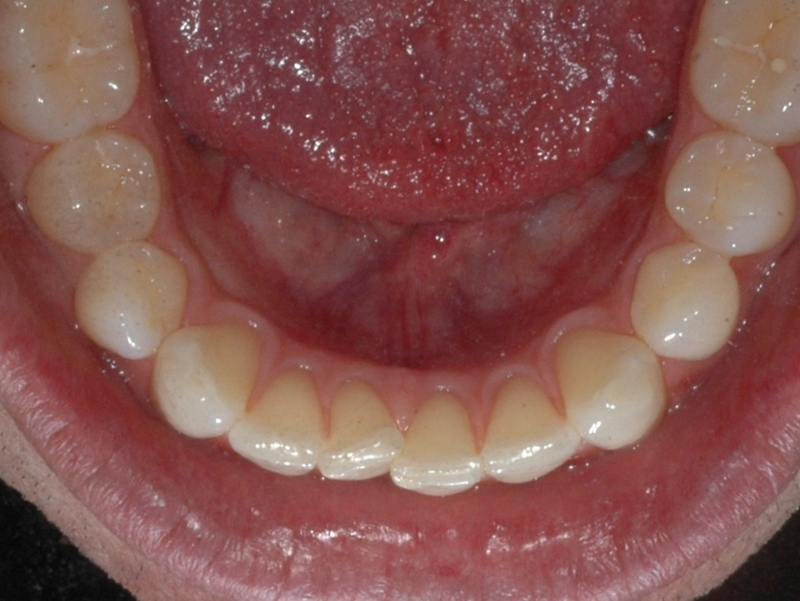 The patient had pain in the tooth to bite on and tap on, and there was no reaction to hot or cold. 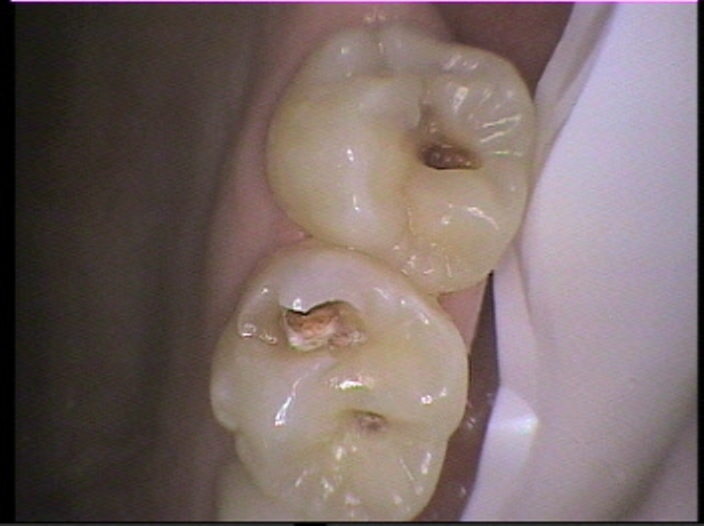 The tooth has been heavily filled and patched over the years. 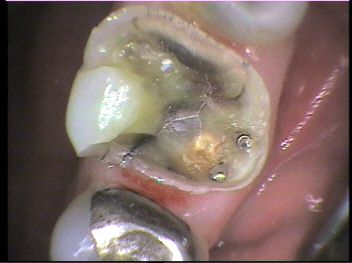 The top left and bottom right corners are actually tooth coloured filling patched onto the original metal amalgam. As there was no decay obvious we diagnosed that the tooth had cracked and bacteria had entered into the chamber within the tooth where the nerve lies. This causes the nerve tissue to swell from the infection, causing pain, and then the pressure strangles the blood supply to the tooth, leaving a dead infected space within the tooth. This was confirmed when we removed the filling. We then opened into the root chamber and found the root canal spaces. 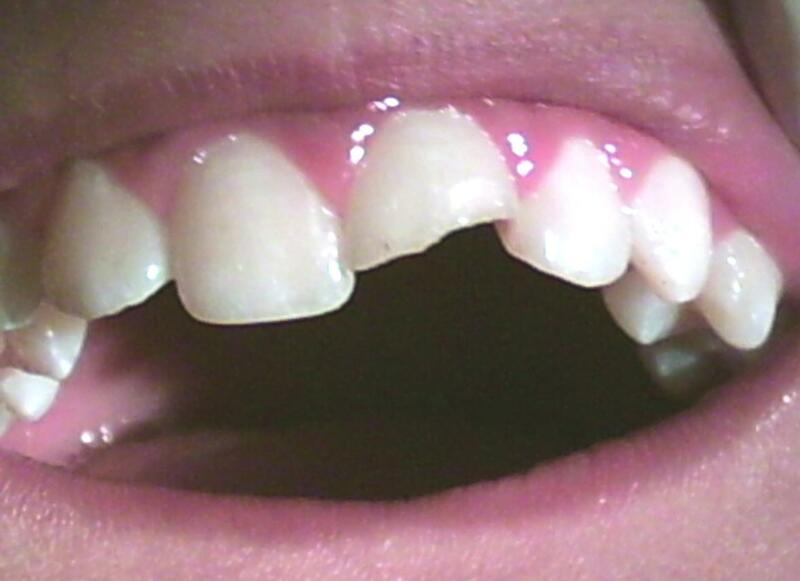 You can see that the crack extende almost the whole way across the tooth. I have marked the crack with a yellow arrow. 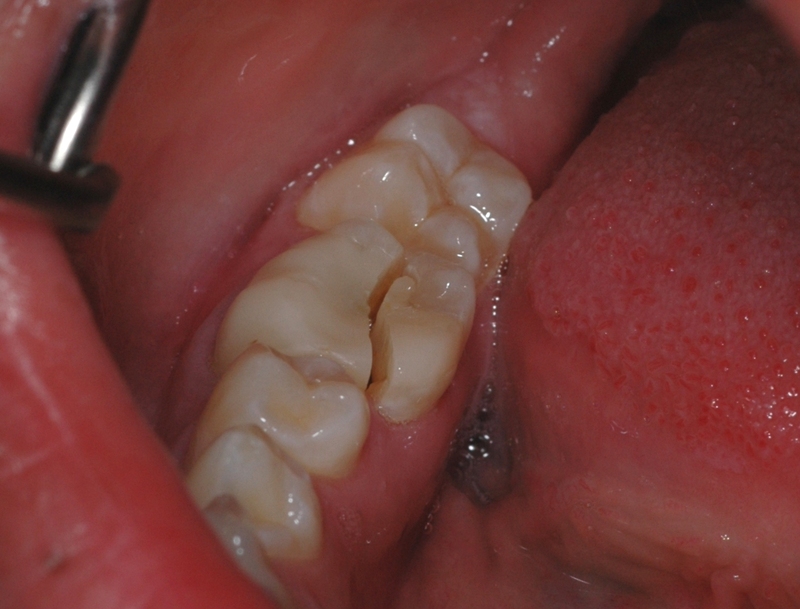 Unfortunately, this crack may continue to leak bacteria back into the centre of the tooth no matter what we do, and the tooth will have to be removed. We are going to try and save the tooth with a root canal treatment and crown for now and hope for the best. This case came in today. 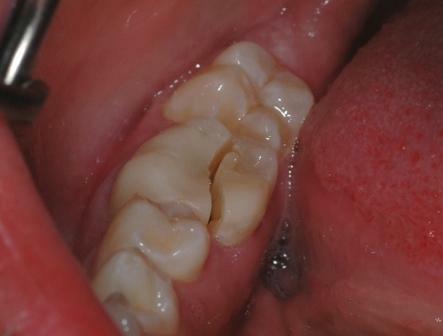 The front tooth has had a filling more many years and the metallic filling on the left had leaked and caused cracking of the tooth. 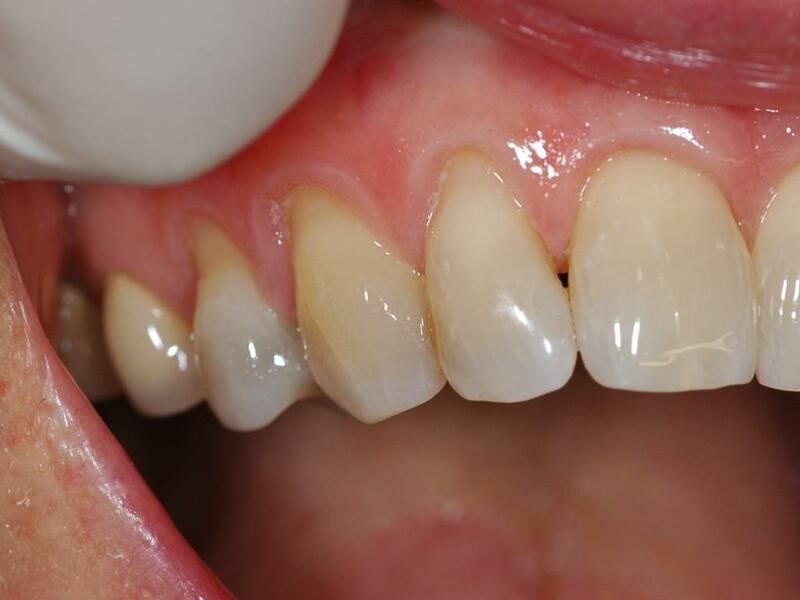 We replaced both fillings with tooth coloured composite resin in a single appointment. 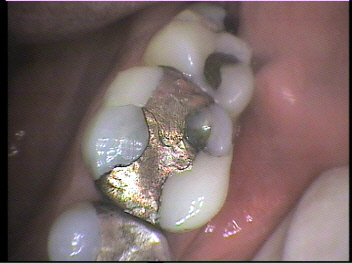 The metal had stained the back tooth severely and some shadow remains. 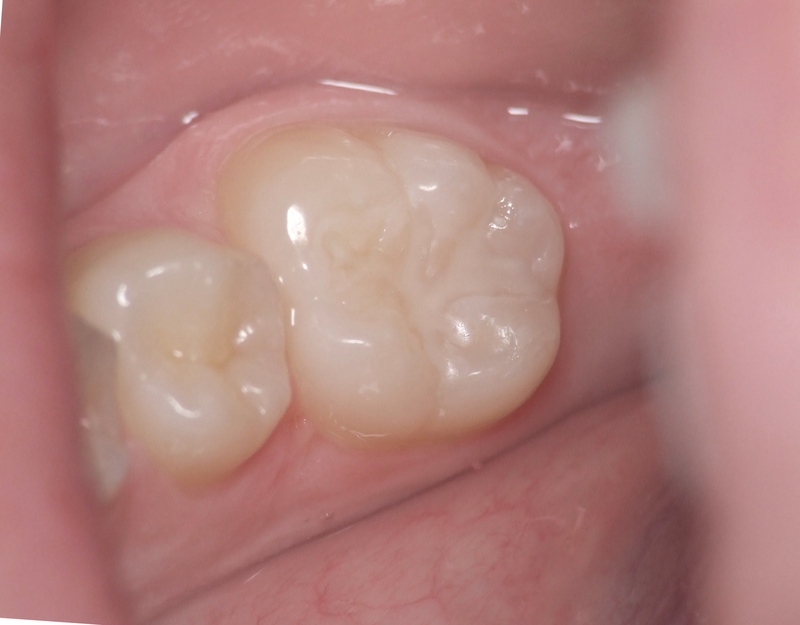 The tooth is weak and may ultimately need a crown but this filling is much more conservative. 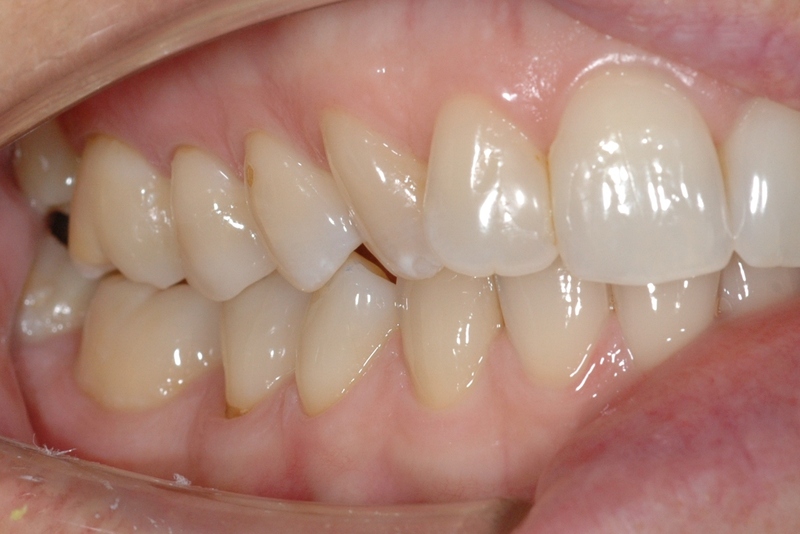 The front tooth was easily corrected to get a more cosmetic colour match. Just a quick case that came in the other day. 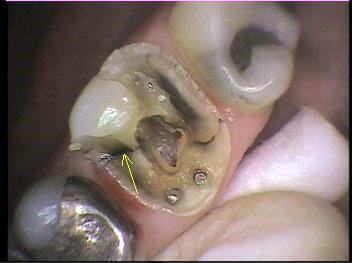 There was decay in the pit on the side of the tooth which had penetrated all the way to the metal filling in the top of the tooth. These old metal fillings also swell and corrode over time. With chewing and cycling of hot and cold food/drinks, the teeth can crack. (you know – that wonderful uh-oh moment while eating crackling at Christmas). By the way – note the old white resin sealant on the tooth behind aimed at preventing getting the decay in the groove in the first place. Tooth coloured resins are ideal in this situation. They bond to the tooth – especially to enamel above the gum, and help restore the tooths former strength. They may have to be replaced more often than the old metal fillings due to chipping or wear – but generally technology has advanced to the point where these are the first choice material for such cavities. Apart from that they look great.